Moving can be a very stressful event in an individual or a family's life. Red Mile Moving Inc aims to lessen your stress by providing complete relocation solutions. Our professionals have years of experience in organizing and executing all types of moves, both in Calgary and across Western Canada. Here are some tips and tricks we've learned over the years to help things go smoothly. Create a “Packing Central” space. This is where you will put all of your markers, packing tape, boxes, labels and anything else needed. Keeping all of this together will help you to stay organized and ensure you can always find what you need when you're in the middle of a packing frenzy. Get more boxes than you think you'll need. This is an issue we have seen many people in Calgary come across. Even if you have leftovers, you can always bring them back for a refund or recycle them. 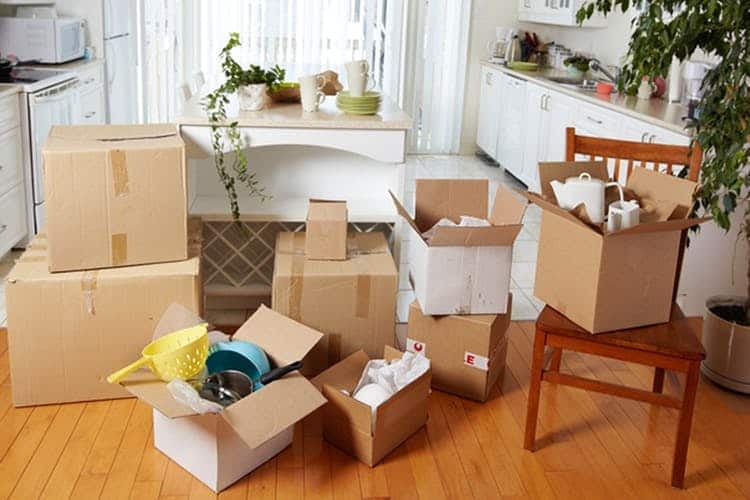 Always keep at least 5 boxes aside for last minute items you may need to pack on moving day. This will guarantee you don't have anything thrown into garbage bags and accidentally put out with the trash! Be specific in labeling your boxes. “Files A-F” is better than “Files”, “Cups and Mugs” is better than “Misc Kitchen”. Write a list of everything that goes into each box and number the boxes in coordination with the lists. This will make unpacking and organizing in your new home or office much easier, and ensure you know where each box should go. Seize the opportunity to purge! Moving can be a great time to do some spring cleaning. Throw a garage sale, donate unwanted or unused things to charity, or simply throw out things that no longer work. Unless you're a minimalist, we all tend to hold onto things we have no use for, just in case there comes a day we will want it. Be strong! Make piles, “Give away” “Throw away” and “Keep”. Why bring all that clutter into your fresh new home? Take this chance to purge. Transfer all utilities well in advance.There are many different utility companies in Calgary not to mention all over the country. This can often make the decision time consuming. By starting the process well in advance, you will ensure that there is no delay in receiving heat or AC in your new home, and will ensure you have internet and TV services shortly after the move. Go online and find out the exact requirements for your utilities or internet service transfers as soon as you know your new address. Red Mile Moving Inc has plenty more helpful advice and services for your Calgary move. Give us a call today to arrange a no obligation quote.